Coming out of Spire Academy with the ability to run the floor, make flashy passes and play above rim, many would assume I am talking about LaMelo Ball. But in fact I am talking about a 6’10” big man originally from France, Josaphat Bilau. The Frenchman has been on Georgia Tech’s radar for a little while and on April 10th the Yellow Jackets pulled the trigger with an offer. “Coach (Julian) Swartz is leading my recruitment,” said Bilau. He has been hearing from the head man Coach Pastner too and how much he would love to have him at Tech. Bilau currently holds a 3.0 GPA and wants to major in Business Management. He has identified Wake Forest, Virginia Tech and Washington State as his other top schools along with Georgia Tech at the moment, and he wants to go to a place where he can continually get better. 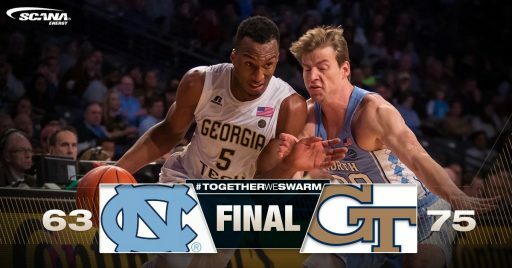 “I’m looking for a school where I can come in and have an impact right away and where I can keep developing my game.” That should be music to Georgia Tech’s ears since they employ the unofficial “big man whisperer” in Coach Eric Reveno. Reveno has had a wide field of success developing bigs from the Lopez twins to the ACC Defensive Player of the Year, Ben Lammers. 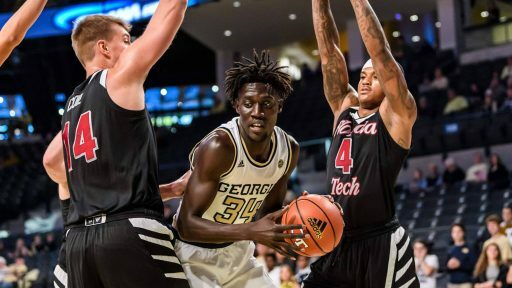 If Tech can make it to the finish line with this baller from France, and with rising senior James Banks being the only true post player currently on the roster, Bilau could see tons of minutes early on in Atlanta. This happens every single year. The basketball season will start and a freshman who was barely recruited starts tearing it up on the court. 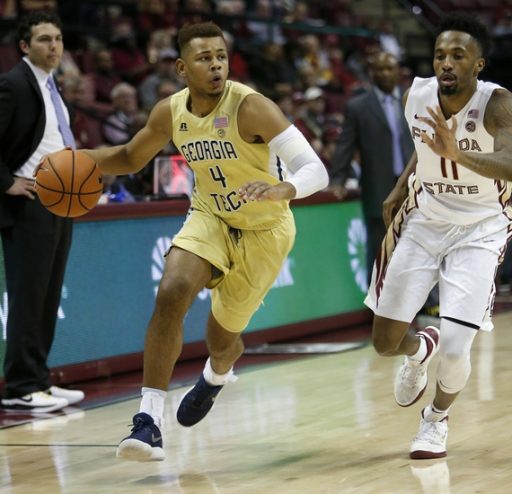 Then everyone is left wondering, “How in the world did this guy not have more offers?” Georgia Tech might be onto their diamond in the rough with a 6’5” shooting guard out of W.J. High School in Columbia, South Carolina, Asanti Price. Just one glance at his highlight tape and you can see Asanti takes the “shooting” portion of “shooting guard” to heart. Price has one of the smoothest, purest jump shots in the ’19 class and has now put himself on the map with big Power 5 schools. When asked who he tries to emulate his game after, he offered a list of shooters led by Ray Allen. He also included a cool little nugget that his high school coach actually coached Ray Allen. If Price can continue doing what he is doing and follow the guidance of his coaches, there is no telling how high the ceiling is for him. Price has also been hearing from Xavier, Kansas State, St. Mary’s, and Maryland and says he is looking for a school that is, “the best for me on the court, can offer a good education, along with a good environment.” Price let it be known he wants to major in either Sports Medicine or Psychology. He told me if Tech does offer he will set up an official visit and let me know when it would be. Asanti is targeting a decision by the end of April and is very determined and focused to get the right fit. After talking with him, I get the feeling that the ball is in Georgia Tech’s court. All they have to do is offer and pass the ball to Price….because if they do, you know he is going to turn it into points.